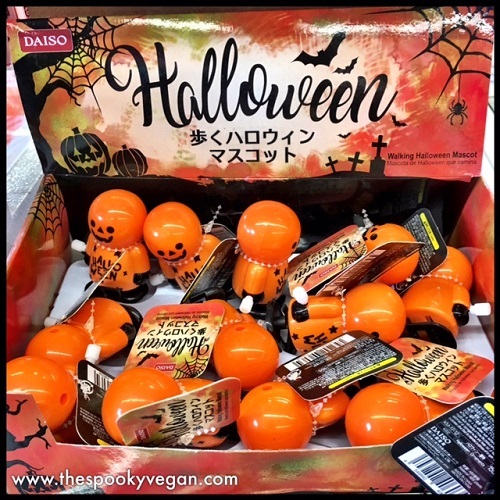 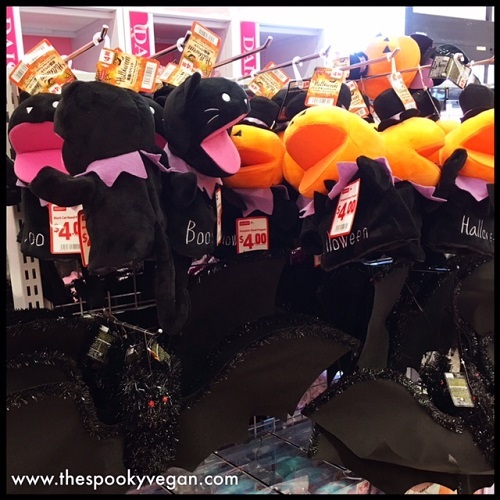 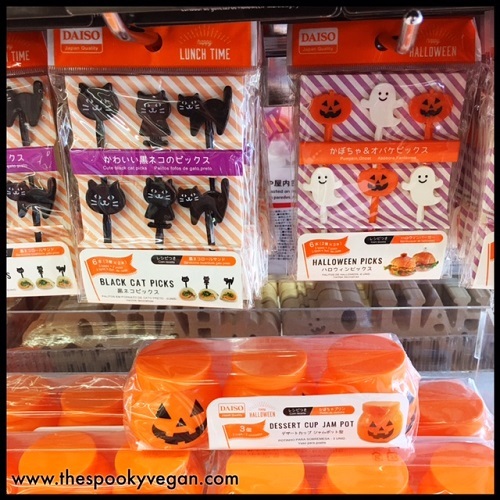 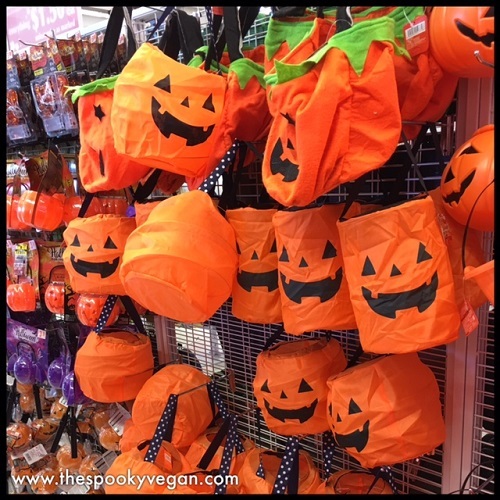 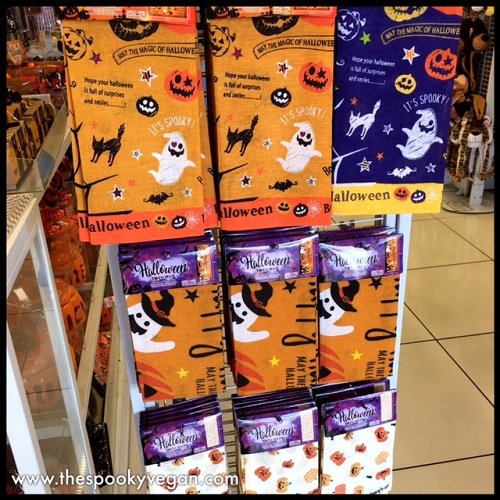 Daiso Japan has the cutest, most kawaii Halloween stuff this time of year! 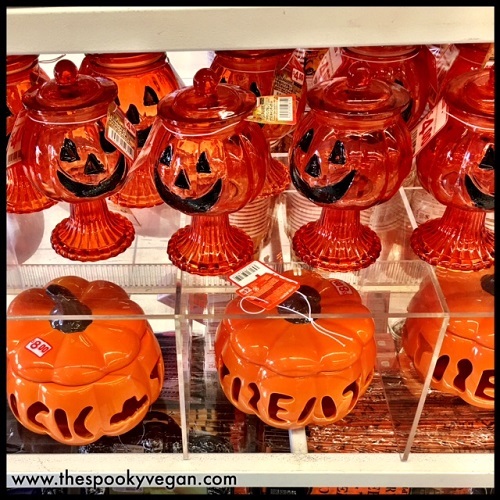 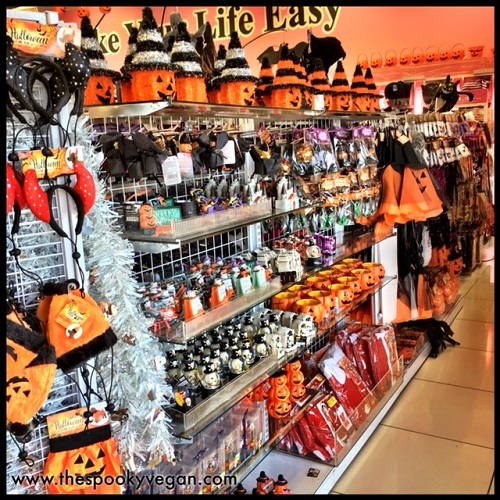 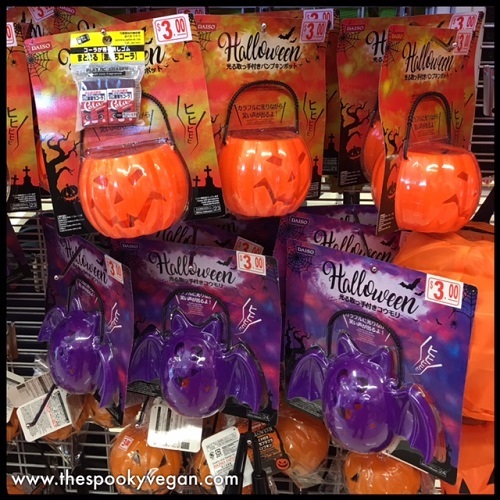 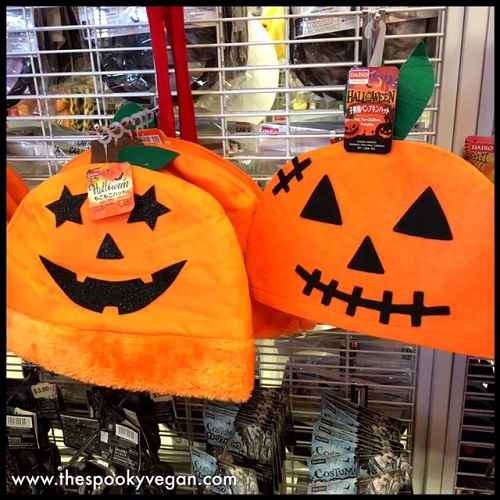 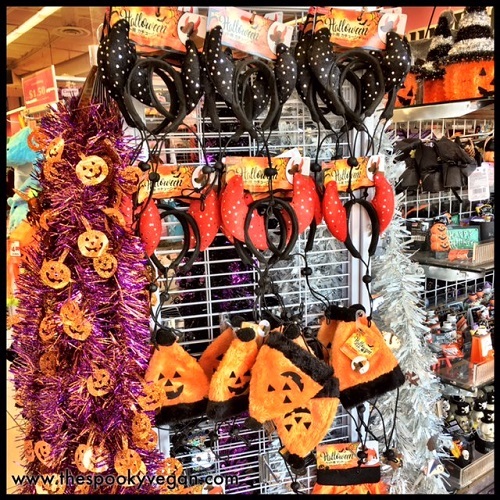 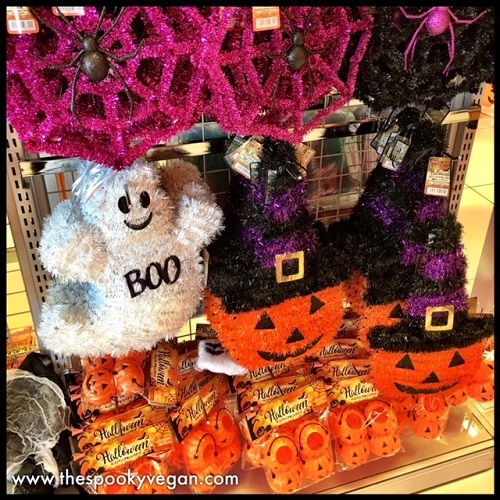 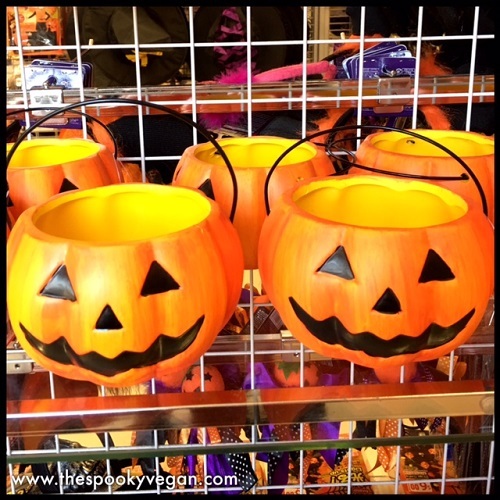 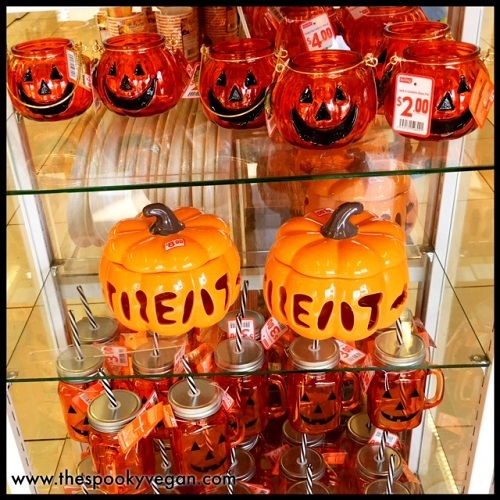 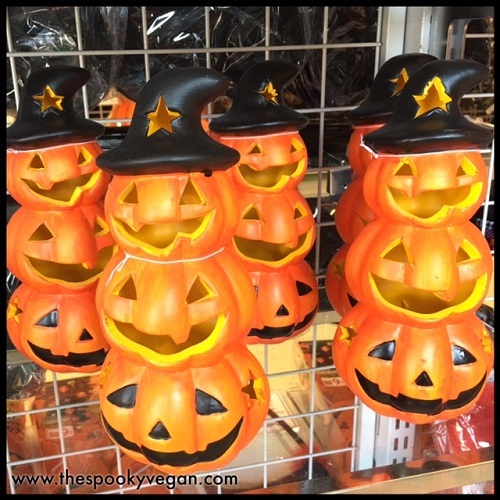 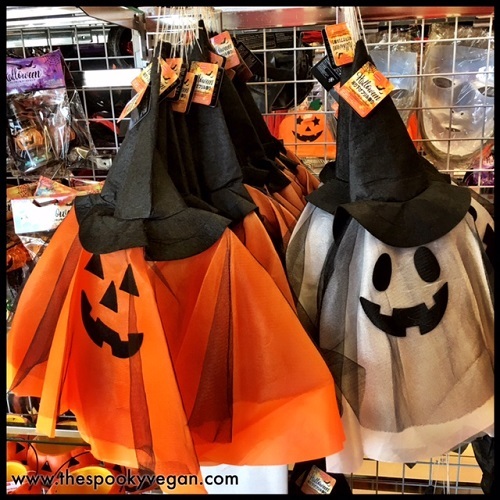 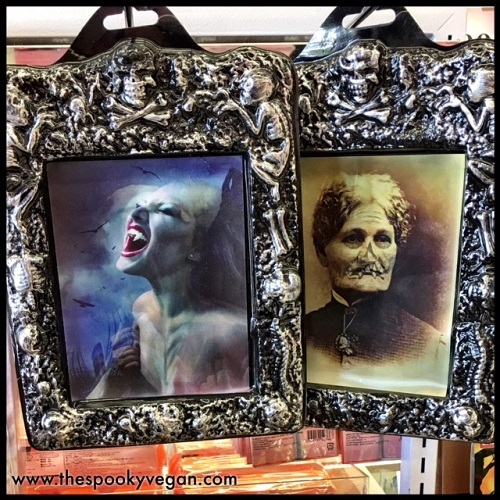 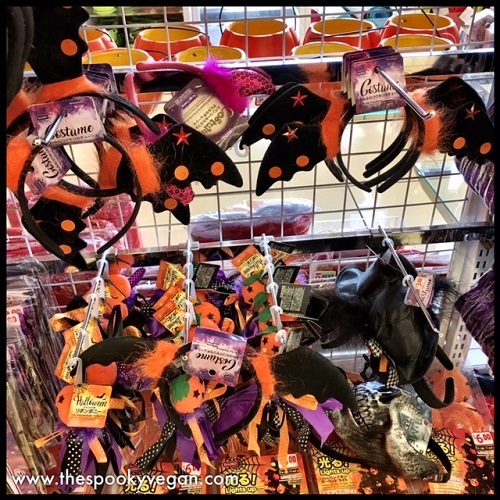 They just put items out last week, so the other day I visited my local store to see if they had anything out, and was greeted by grinning jack-o-lanterns, pastel pumpkins, light-up purple bats, and tons of other great Halloween decor! 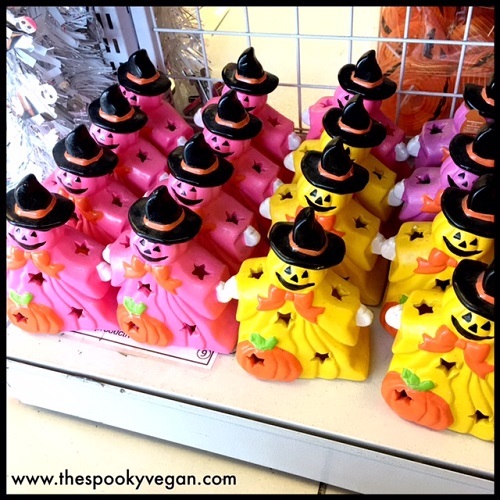 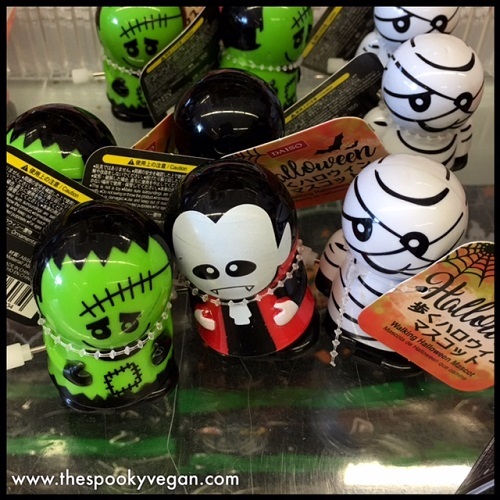 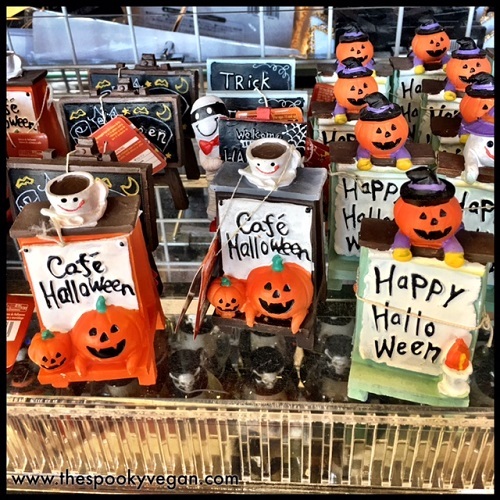 These Halloween happy figurines were so welcoming and precious! 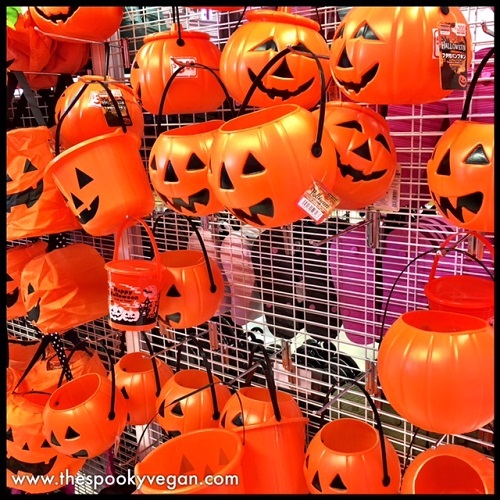 These jack-o-lantern buckets were pretty hefty and good quality! 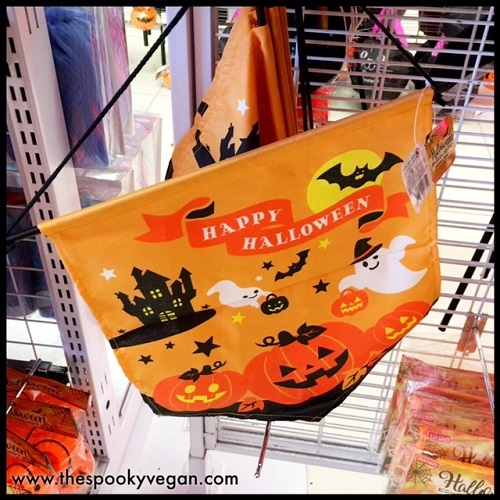 This banner sign was just the most adorable thing ever! 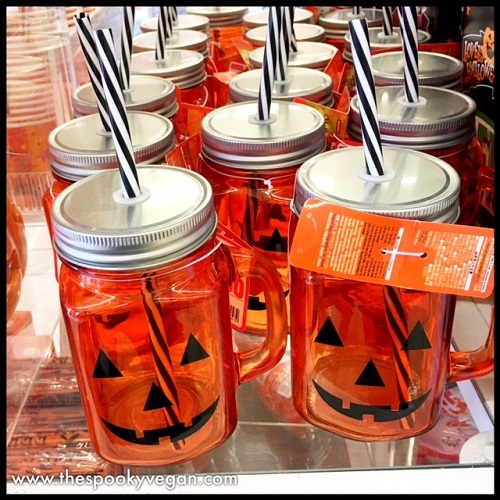 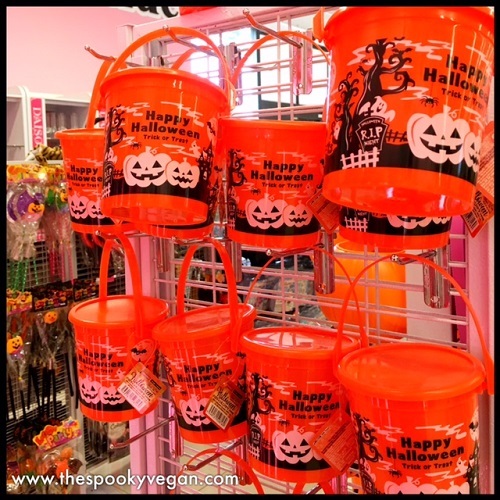 Happy Halloween pails that had a vintage look! 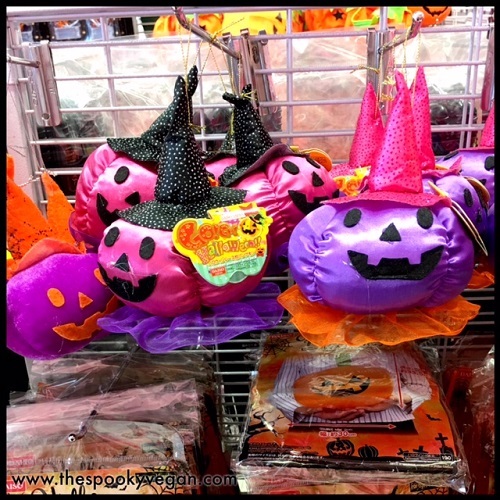 These guys will put a grin on your face! 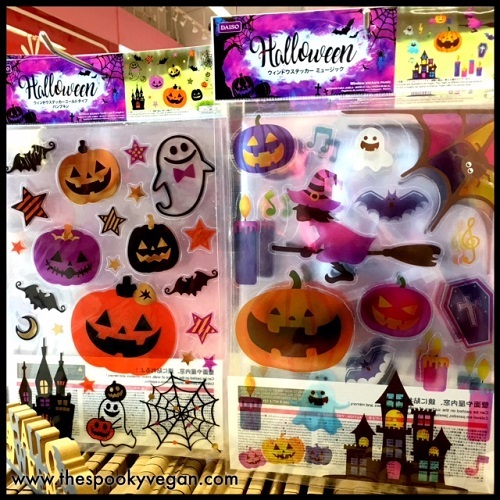 Light up pumpkins and bats that also make sound?! 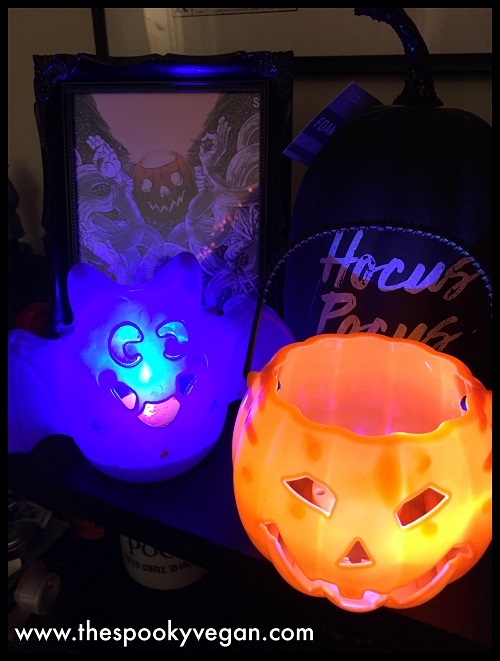 I'd buy that for $3! 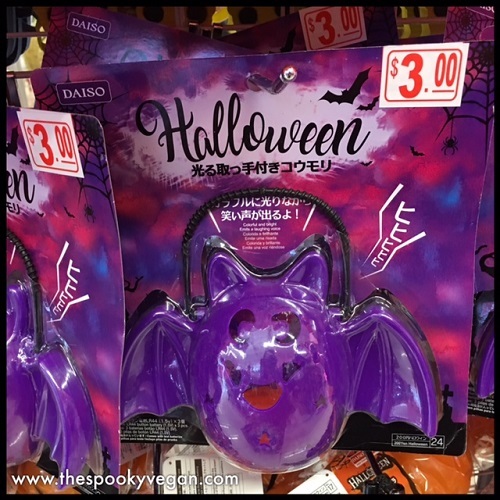 Here is a close-up of the precious purple bat! 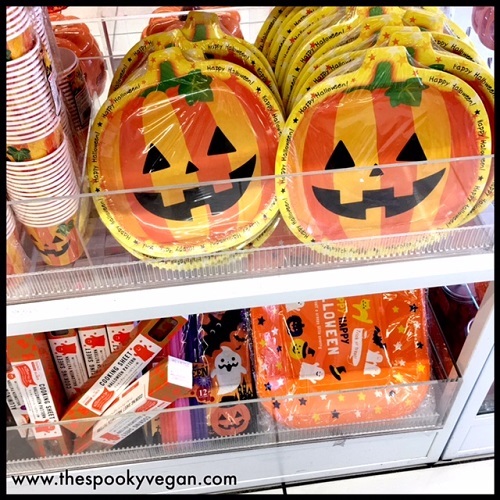 How could I say no to that face? 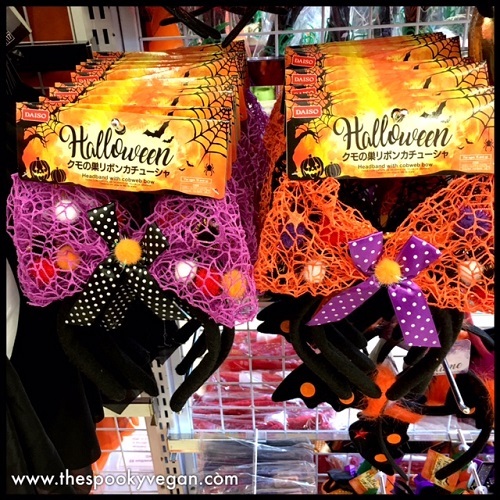 These spiderweb headbands were so pastel goth! 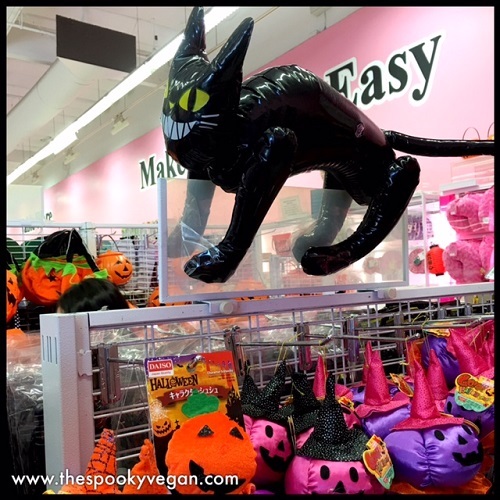 These black cat and jack-o-lantern puppets were EVERYTHING!! 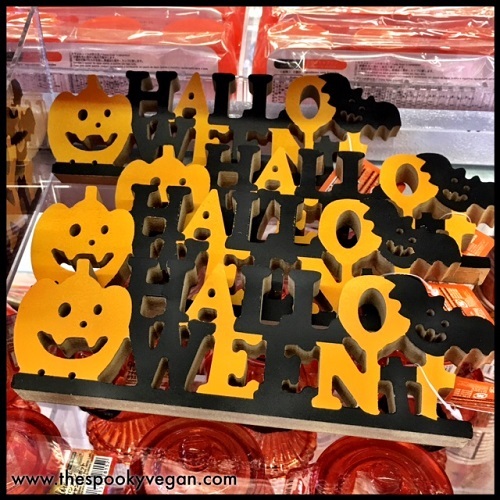 up jack-o-lantern and bat, stickers, wall hangings, and so on. 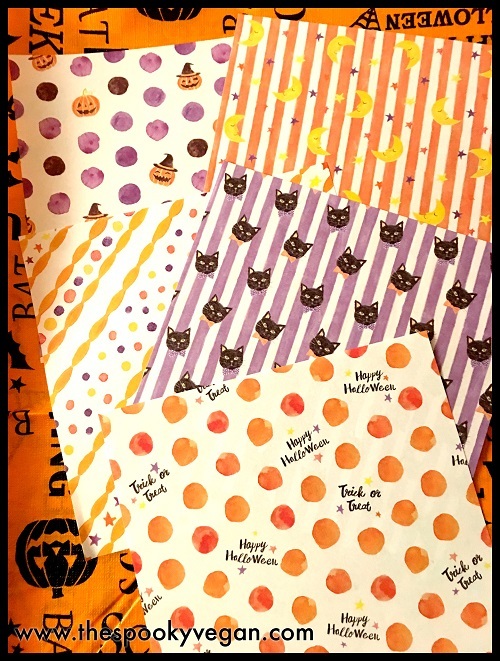 resist this kind of cuteness?! 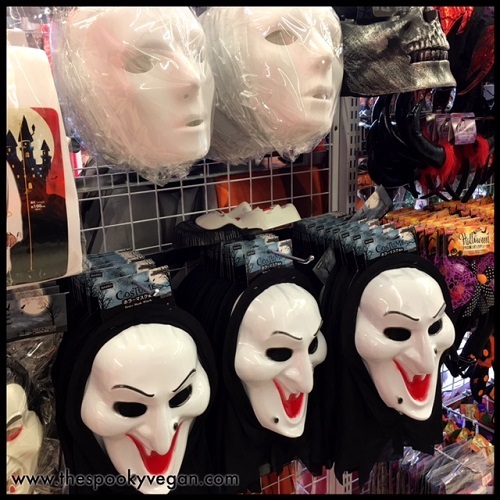 sound (like the sound from the Saw movies). 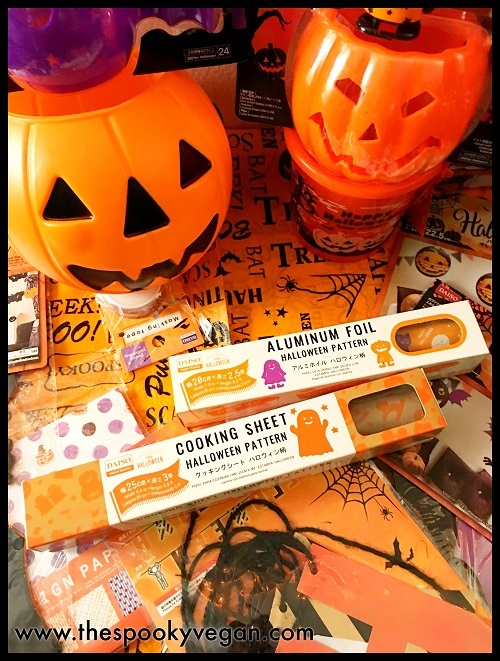 For more info and to see if you have a Daiso near you, check out Daiso Japan's site! 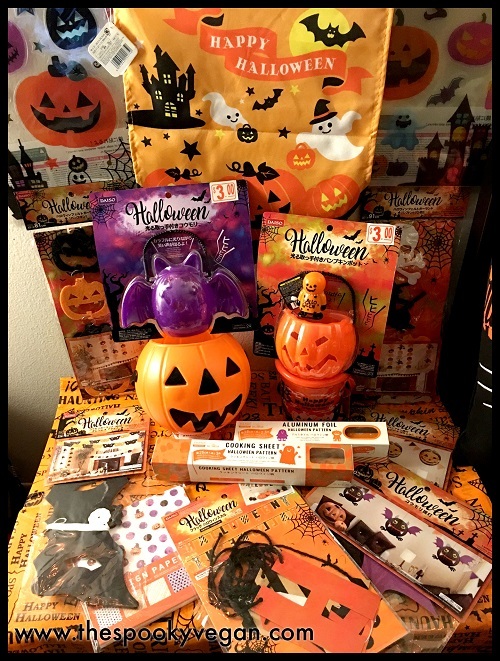 I love Daiso Japan having great halloween stuff and stock.